May be I am the last person on planet E to review ASOS.Was I living under a rock to have missed the amazing offers and pretty items for all this time?. Better late than never right???. Fabia from shoes and shocks ran an article on ASOS, few weeks back focusing on their mega autumn sale. 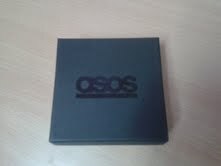 I have never got around shopping at ASOS, even after discovering their wide collections two years back. It can be attributed to the fact that my card is maestro, one which is not accepted by any international shopping sites *Thank You SBI!!!*. 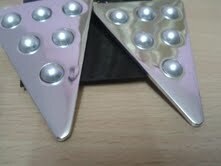 The Clutch cost me $10 and the studs cost around $6. Pretty decent amount, so thumbs up for that. I placed the order on October 12th and I immediately received a mail confirming the same. Further, I received a mail om October 15th that my order has been dispatched through royal mail and would reach Bangalore on or before October 29th. Though I was cool about the whole purchase, my husby wasn't so sure.... 10 days later he went into a panic mode and kept on asking me about the purchase. On 29th, home after work I saw a package placed near my door. I knew it!! 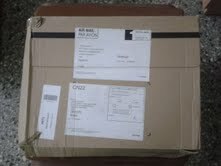 !it was my parcel from ASOS. Husby did ask me if the people had given me a call or emailed me regarding the delivery. He felt that the company should have let me known but what the hell!!. 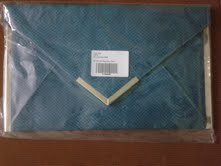 The wrapping was standard, I could see small carboard tears. Both my items wear nicely bubble wrapped. 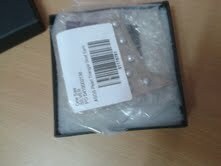 My earring especially came in a small box inside which it was again bubble wrapped. The items are exactly as depicted in the site. The quality wise also, they score a perfect 10. Would I shop from them again. yeah!!!!. What do you think about my purchases?. Have you shopped from ASOS yet?. So cool, love the clutch :D Looks gorgeous, glad to see a positive review. Was actually waiting for this review from you! I loved your clutch...the color is gorgeous. Great buys!! I had my eyes on that clutch too!! It really is a steal at that price:-). It's comforting to know that you got exactly what they showed on the website and that the quality was up to the mark :-). I have not tried shopping from them yet but need to try. Love the clutch. 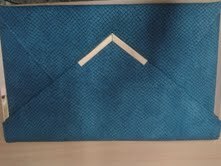 Love that envelope clutch that you got from them !! 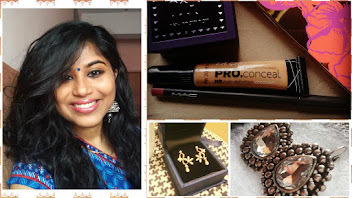 We are following you now... love to meet Indian bloggers in this vast expanded blogosphere !! Thank you so much for your lovely comment :) Merry Christmas! yep ASOS rocks..only thing which prevents me to shop more frequently is the high pound/dollar conversion rates and yeah my SBI card!!! golden and black. You don't need a special occasion to wear these earrings as it can be worn casually with any dress. 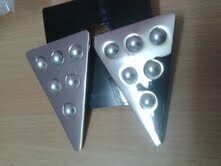 These earrings can be found in different shapes, colors and sizes. ASOS always offers a fabulous shopping experience. I am an ardent fan!! Love the teal clutch btw! !